Breathe easy with the Injen Evo Intake from Injen. Give your Camaro more power and a great aggressive sound. If you're looking to modify your Camaro SS then an Injen intake is one of the best values out there. 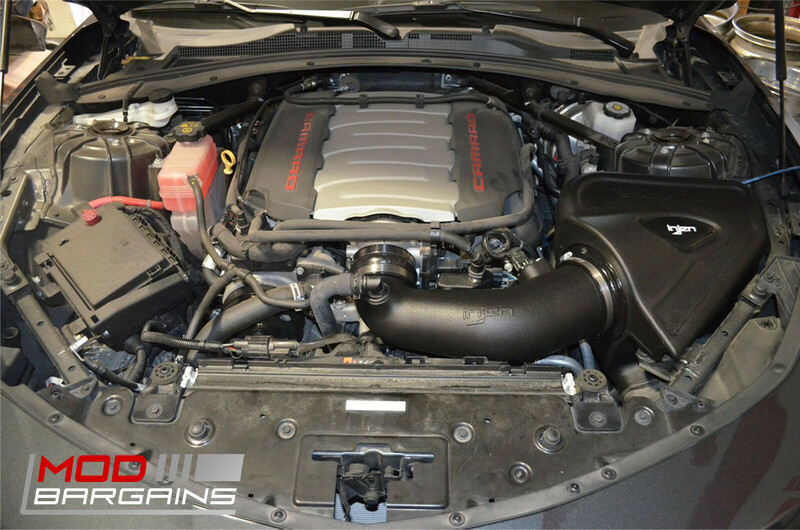 This intake is dyno tested and constructed specifically for your vehicle and is proven to improve horsepower and torque significantly. The intake itself is made of roto-molded polyethylene for smooth airflow and durability. Injen's proprietary Super Nano-Web technology ensures you're getting maximum airflow through the filter while removing and harmful debris. 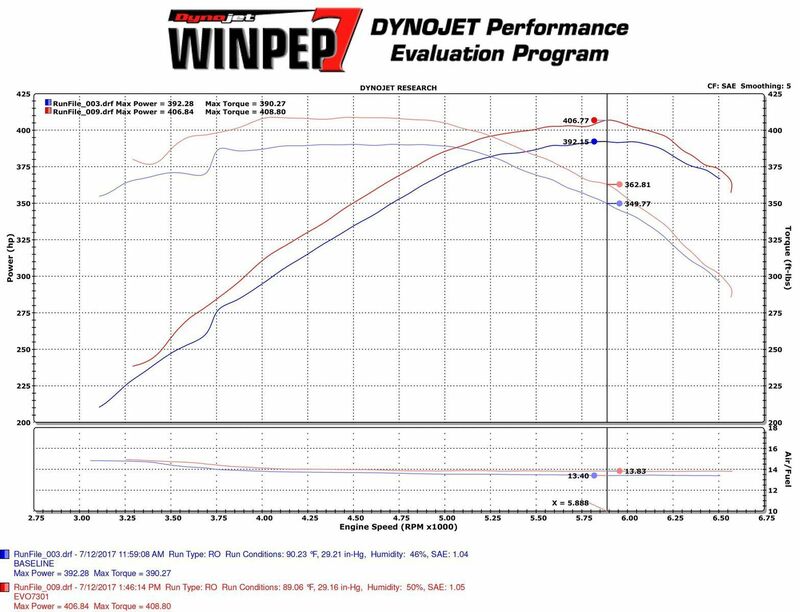 Dyno runs have shown this intake to give gains of up to 14hp and 18 lbs/ft, and gains of 10-11 accross almost the entire power band meaning you're feeling the extra power at any rpm. On top of all the gains you get a little bonus which is that your engine will sound a lot more aggressive with a free flowing non-resonated intake so your car will sound as impressive as it performs. There really is no downside to this intake if you're any kind of enthusiast.